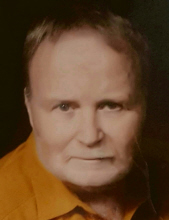 Cherryville - Mr. James A. Knight, 75, of 117 Hidden Valley Street, went to Heaven on Sunday, November 18, 2018 at Testa Family Hospice House in Kings Mountain. James was born on May 15, 1943 in Utica, New York a son of the late Sam Anderson Knight and Mary Jim Brewster Knight. He was retired after 40 years of service from Lockheed Martin in Marietta, GA. James was a member of Arrowood Baptist Church in Bessemer City and the Cherryville Senior Citizens Group. Survivors include his wife of 35 years, Freda B. Knight of the home; two stepsons, Walt Robertson and wife Misty of Cherryville and Stan Crigger and wife Nancy of Anderson, SC; nine grandchildren and nine great grandchildren. Visitation will be on Friday, November 23, 2018 from 12:00 to 12:45 PM at Arrowood Baptist Church in Bessemer City. Funeral Services will be held at 1:00 PM on Friday, November 23, 2018 at Arrowood Baptist Church with the Rev. Hinkle Rayfield officiating. Memorials may be made to Arrowood Baptist Church, 6247 Dallas-Cherryville Hwy., Bessemer City, NC 28016. Stamey-Cherryville Funeral Home & Cremation Service is serving the family of Mr. Knight. To plant a tree in memory of James A. Knight, please visit our Tribute Store. "Email Address" would like to share the life celebration of James A. Knight. Click on the "link" to go to share a favorite memory or leave a condolence message for the family.